The cultural capital of Bosnia and Herzegovina, and the center of the only canton in the federation with sea access, Mostar is set on the banks of the Neretva River. 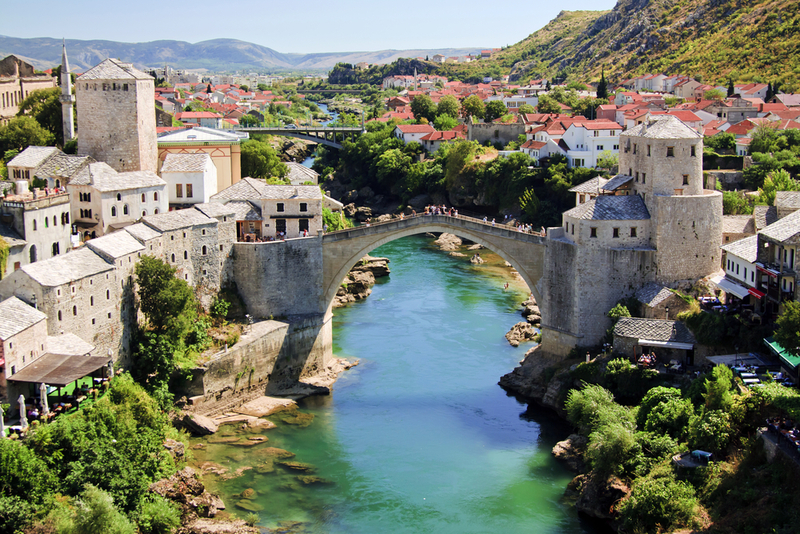 The most photographed feature of the city is the Stari Most Bridge. 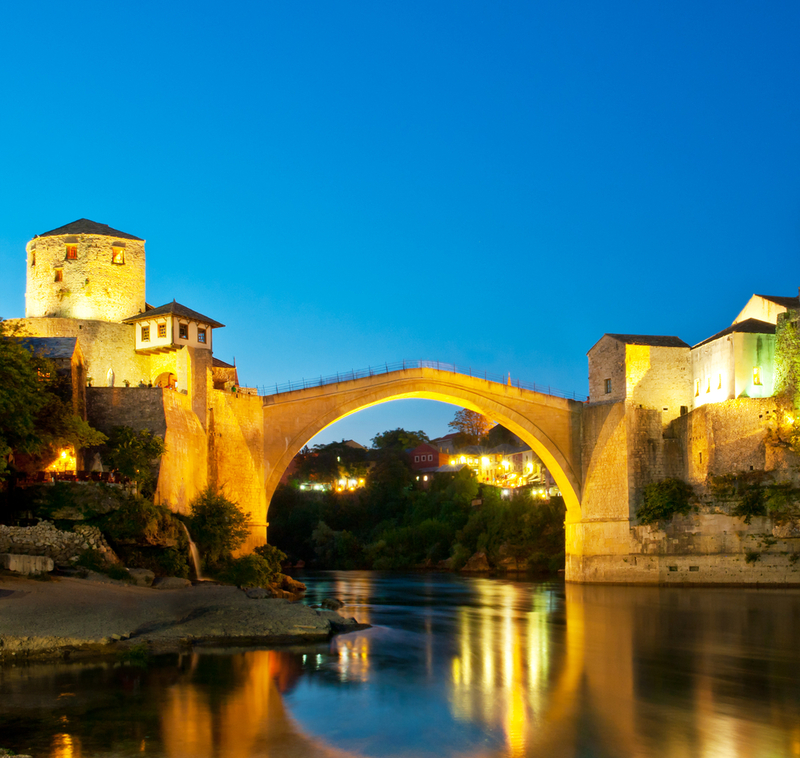 First built more than 400 years ago by the Ottomans, the bridge was destroyed in 1993 by the modern war. Reconstructed in 2001, this lovely symbol of cultural, ethnic, and religious cooperation and reconciliation accurately mirrors the original architecture. First designed by Sinan, chief architect for the Ottoman Empire, this early architectural rock star is credited with the design of more than three hundred significant structures. While much of the ancient architecture was also destroyed during the conflict of the 1990s, pervasive reconstruction is underway. Mosques, churches, and a hamam bath house continue to draw admiring glances in appreciation of their beauty and complexity. Not all of Mostar is old, however. There are clubs, restaurants, and shops tucked into caves, narrow side streets, and busy bazaars, ready to supply visitors with a current glimpse of life in this cosmopolitan city in Bosnia and Herzegovina. See ART Google Map for additional recommendations on places to see and things to do in Mostar: http://www.adriaticroadtrip.com/p/adriatic-road-trip.html.